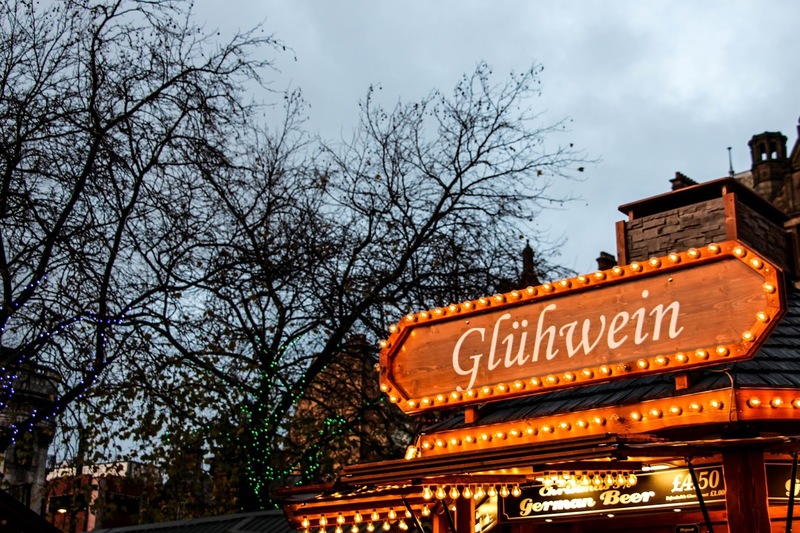 Christmas is never the same if you don’t go to a Christmas Markets. 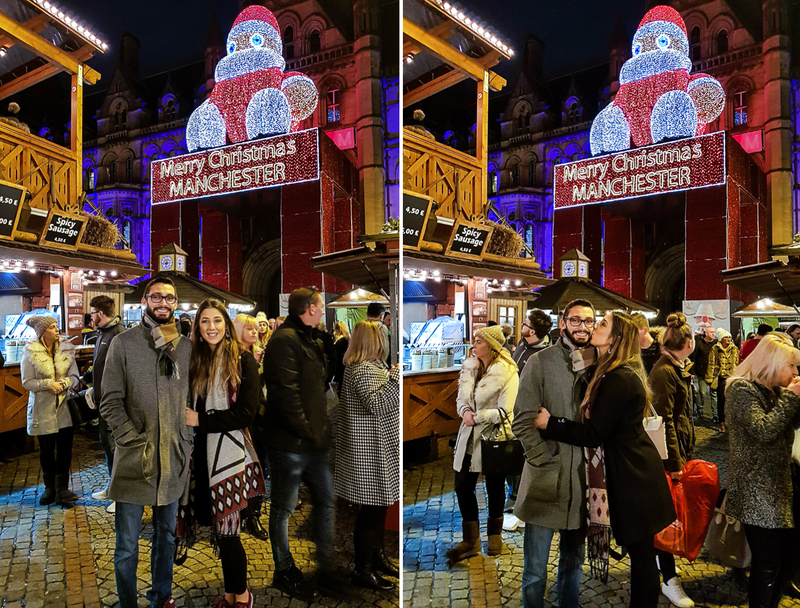 It has become a tradition since we moved to the UK to go to the Manchester’s Christmas Markets and this year was no different. We got in the train to Manchester and so the adventure begun. We got there just in time for lunch. All of us were starving and we luckily came across the beautiful Giorgio’s Italian Restaurant. I had never been there but it looked quite appealing and as I was reading the menu, I couldn’t resist. I had an amazing Risotto Pescatora – a sea food risotto with tomato sauce and it was absolutely divine. 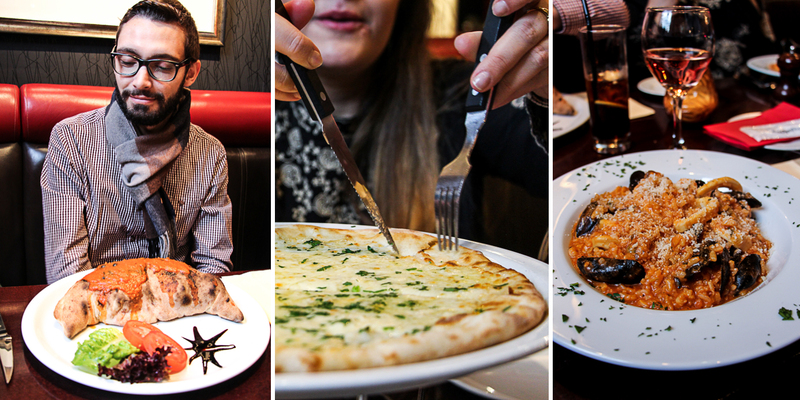 My fiancé went for the Chicken Calzone that he also enjoyed and my friends picked an also very delicious chicken risotto. To drink, we couldn’t help but to choose a Rosé Wine. I guess that it is something that we always choose because we all love it and it goes with any sort of food (in my not so wise wine opinion). After that it was time to head out to where all the magic was happening. It was all beautiful as it always is every single year. A lot of delicious food, many many drinks and the famous mugs that I managed to bring home this year! As a start, we walked around to found the most beautiful variety of things and grabbed ourselves a nice, warm, Cadbury Hot Chocolate that was so, so comforting. I will never get used to this cold. Things haven’t changed much since last year but the Christmas Market is always beautiful and so much fun. Last year I also had a hot dog with German sausage and it was so delicious but this year I skipped and tried something different. 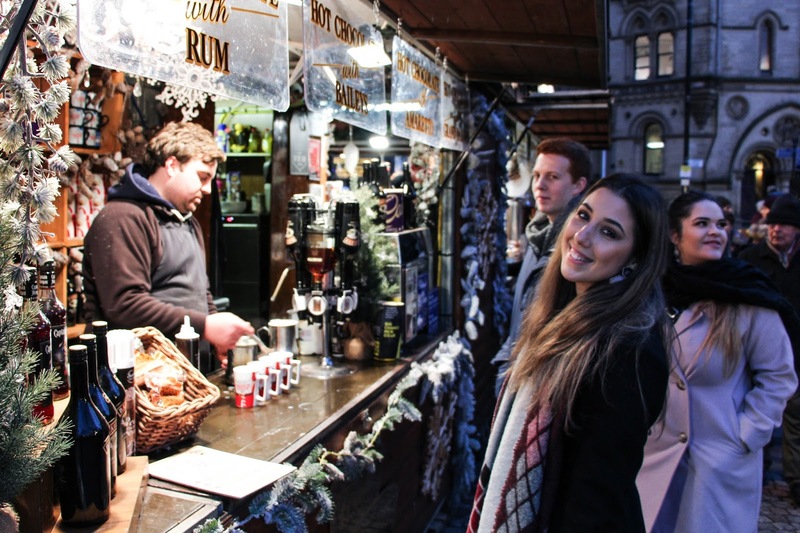 One of my favourite things when I go to Manchester’s Christmas Market are the Mini Pancakes with Nutella. Oh my… just thinking about it makes my mouth water. They are so, so good. I have also tried the Yorkie Wrap for the first time (for you who don’t know it’s basically a traditional British roast dinner in a big Yorkshire Pudding) and I absolutely loved it! The gravy is so, so, so, SO GOOD! I am not even kidding. To wrap it all up and get away from the cold, we went to the nearest pub/restaurant Dutton’s just before going to the station to get back home. Dutton’s had a great environment – it was warm and cozy, not too crowded and so we where able to have a nice chat and relax before the train journey. We had such a great time and I am forever thankful for the most wonderful fiancé and friends that are always with me, through good and bad.